Your yard is looking worse for the wear. You can’t put your finger on what is making your yard look so tired and worn. Your fence! Oftentimes, fences go overlooked as part of our yard. Fences are the first things people see when they drive up to the house. Choosing to give your fence an update could be the boost you need to get your yard back to its former glory. 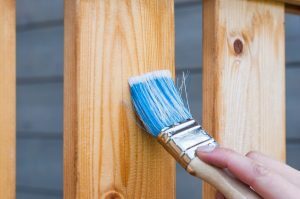 If you want to give your fence an update, here some painting and staining tips to get the job done. Why Should I Update My Fence? Updating your fence will make your entire yard look better. You’d be surprised at the effect it has on your yards overall appearance. Updating your fence can also help protect your fence from further damage. When your fence is strong, it protects your yard too. If your fence is starting to get water damage or it’s starting to chip, you might consider giving your fence an update. Even if nothing is wrong with your fence, it might be a good idea to update it just to give your yard a face lift. There are a lot of pros to painting. There are so many color options to choose from. You can have fun choosing a color, the options are endless. Paint also has better coverage than stain so the amount you use goes a long way. Although paint is more expensive, you probably won’t need as much to get the job done. The problem with paint is that it’ll probably need maintenance more quickly. Paint tends to chip and look more weathered when it’s outside. You can battle this by buying a high quality outdoor paint. It might be more expensive initially but it might save you from painting again a couple months down the road. You’ll also need to do some work before you start painting. 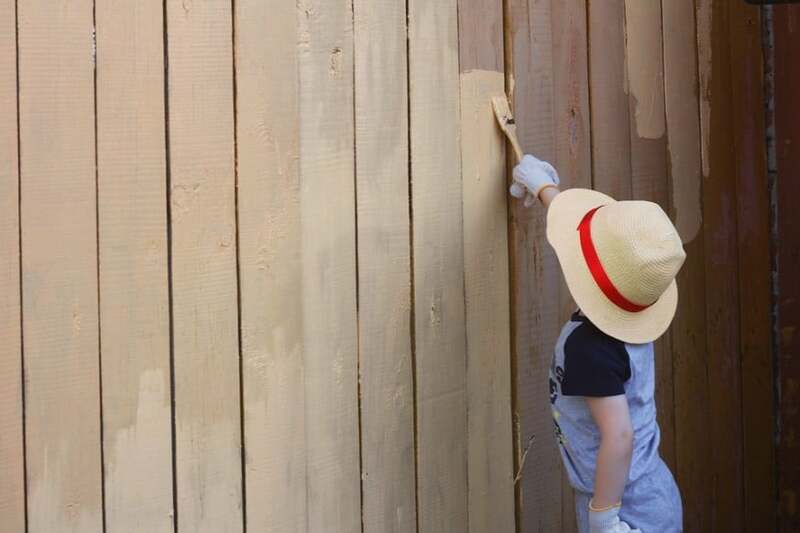 Sanding your fence will help your fence be less likely to chip and make the paint last longer. Stain doesn’t have as many color options as paint does, but it still has quite a few. There are many different colors that would look great for a fence. Although stain doesn’t have the coverage paint does, it soaks deep down into wood. This means you may end up using a lot more stain than you would paint. Paint sits mostly on top of wood and is easy to spread out covering a large area. Stain covers a small area and sinks deep down into the wood. This might seem like a negative thing, but it’s also positive. You don’t have to worry about stain chipping off because it has sunk so far down into the wood. You also don’t have to worry about sanding before you stain. There are a lot of pros and cons to both painting and staining a fence. You should think about all of your options before making a decision. Both of these options will help protect your fence and give your fence an update. Think about the cost of paint and stain, and the amount of work you’re willing to do to update your fence. No matter what you choose, your fence will look inviting for everyone that sees it.